How to Select A Right Size? Home > > How to Select A Right Size? Our clothes are not in standard Asian, US or EU size. Besides, because sizing and cut will vary between brands and style, the size measurements of the clothes are also different, so to select the right size, please use our Size Chart on the product page to determine your size. To take your measurements you need a measuring tape. With some experience you can take some measurements by yourself, but to make the rest you will need an assistant. Following the instructions, they can easily take the correct measurements for you. You need to measure your body shapes wearing underwear, which you will wear with a dress. Note, that even nylon tights can take away a few centimeters in the hips, so nothing to talk about the corrective underwear. Wearing a bra you usually wear. 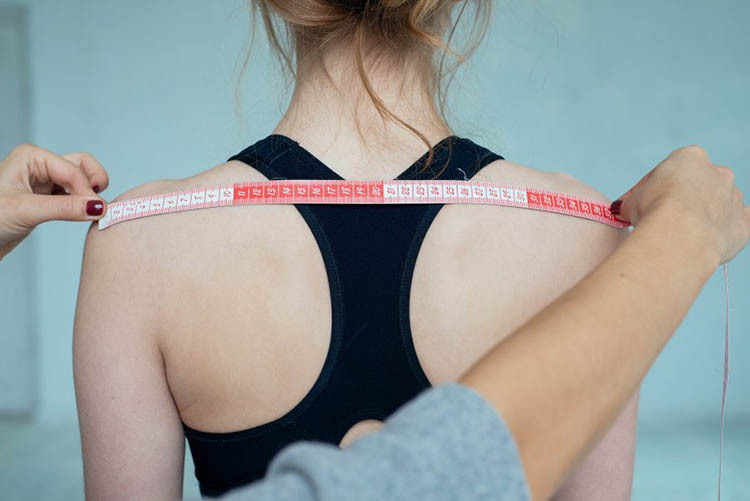 Pass the measuring tape around your back and up to the front, at the level of the fullest part of your bust. Pass the measuring tape round the narrowest part of the waist. Don’t make it too tight, you should be able to fit a finger between the tape and your waist. Remember to keep the tape leveled in a straight line across the back and front of your waist. Don’t breath in and pull in your stomach, you can’t cheat if you want your dress to be wearable! To define the waistline correctly, you can also tie a tape arround your natural waist and don’t take it off until you finish the measuring. Don’t make it too tight, you should be able to fit a finger between the tape and your hip. Measure the horizontal distance between the ends of your shoulders. The end of your shoulder is the small bump right before the start of your upper arm. You should keep the tape leveled in a straight line between your shoulders, but keep the tape flattened on your skin. Don’t swell out your chest and push your shoulder blades back, you should relax and stand in a normal standing position. Pass the measuring tape around the base of your neck. Don’t make it too tight, you should be able to fit one finger laid flat between the tape and your neck. Relax your arm and let it hang at your side. Your bicep should be slightly tensed. 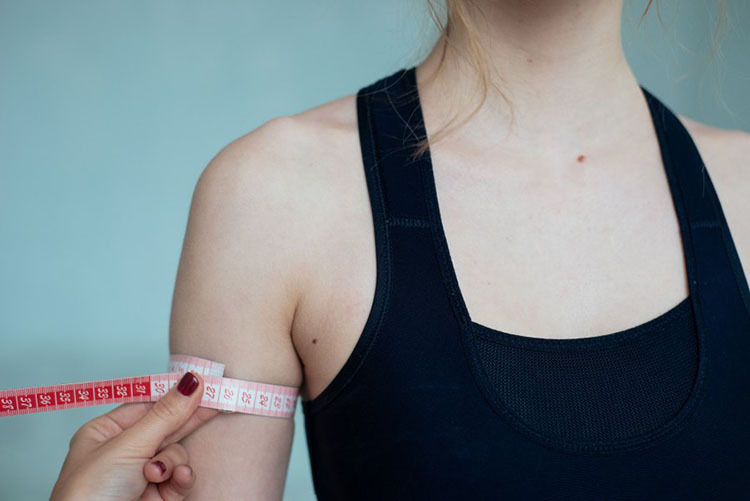 Pass the measuring tape around the thickest part of your upper arm. Don’t make it too tight, you should be able to fit a finger between the tape and your arm. 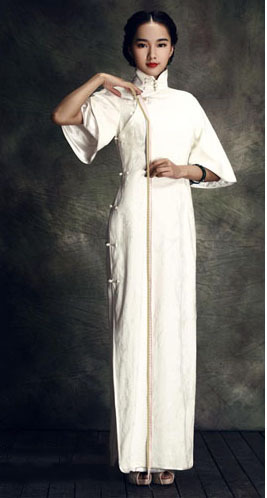 If the dress has half or long sleeve, you can provide this measurements to make the dress. Measure from the top of your shoulder, down to the point where you want your sleeve to end (if your dress has sleeves). Your arm should be a little out from your body, not stuck right against your side. If the dress has half or long sleeve, you can provide this measurements. Wearing shoes. Measure from the point where shoulder meets neck over the bust point to the point where you want the hem to reach. If you want to make a floor length dress, the end point will be the floor.